In celebration of a 2015 Summer/Fall North American Tour, VAN HALEN will perform a special concert for Jimmy Kimmel Live March 30 on Hollywood Boulevard. 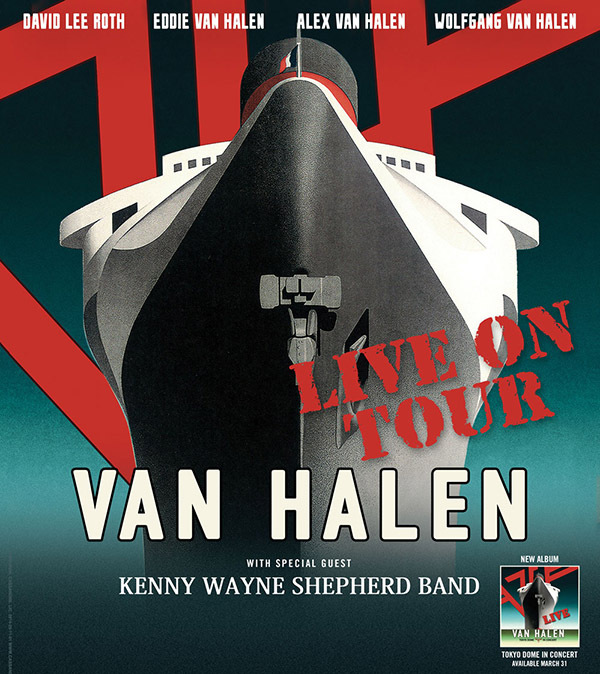 Featuring some of the band’s essential rock and roll classics, the concert will be broadcast over two nights, March 30 and March 31, on the late night talk show and marks VAN HALEN‘s first U.S. television performance with original lead singer David Lee Roth. Jimmy Kimmel Live airs weeknights at 11:35 p.m. / 10:35 p.m. Central time on ABC.